Thanks for joining us again–we hope you were inspired by our profound last posting. Now then, breath easy. Inhale, exhale. When you discover there may be no air conditioning, central or otherwise, this, like most of the other “issues” I’ve addressed thus far in this series, truly ends up being a non-issue, really. Piece this circumstance together with all those rumours you always hear about London weather, and voila: it doesn’t get very hot here, erego, it isn’t that necessary to have air-conditioning (unless you really love to spend your money on, well, air). You will definitely be equipped with heating, which I was personally delighted to see was centrally operated even with the separate radiators in each room. In my Chicago apartments, a radiator was a scary coiling mass of iron painted over in decades of chipping paint that literally hissed and spit at me each time the heat ran through–and that water it spat burned my hand each time I manually screwed and unscrewed the knob to regulate it. Here, the radiators may actually be modern installations that are flatter to the wall (if not covered up with a practical and more aesthetically pleasing cover that provides additional shelving) and may have a centrally located thermostat dial that lets you set them to a specific temperature (rather than just regulate the degree of said hissing and spitting). You can then use the dials on each radiator to regulate the degree to which they individually heat up, which is energy saving if unused rooms can be shut off completely, or, say, you only want the towel warmer to heat up during spring and summer. But okay, back to the air-conditioning, as we all know it’s easy to add layers when it’s cold, but there’s only so much you can take off when it’s hot. Saying that it doesn’t get hot that often is bittersweet news for summer-lovin’ outdoor activities, but it does help for indoor climate-control, yet for those days that it does warm up, it admittedly gets quite stuffy, especially when the sun beams through the windows and heats your rooms to higher temps than what it is outdoors. 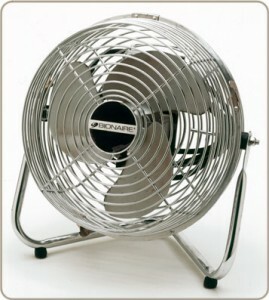 The trick is simple: go to Argos or Homebase and buy a little fan. This works really well if you situate it in front of your open window to keep fresh ventilation flowing through; all it takes is a little air movement to feel like the uber cool person you are. London Relocation can also help to chill you out by alleviating the stress of your move! See you soon in Part VII, our thrilling conclusion to this series on What to Expect in a London Flat.